Fleggburgh at Fleggburgh (Burgh St Margaret)01493 846346work VillageFleggburgh to the north west of Great Yarmouth lies between Filby Broad and Lily Broad in glorious Norfolk countryside. The parish also includes the villages of Billockby and Clippesby. 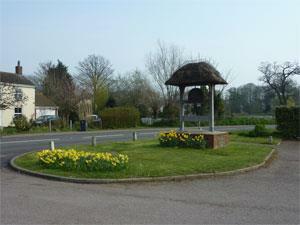 The villages are home to several camping and caravvaning parks and offer the basic shops and amenities visitors require. Several lovely walks are available in and around the villages, edging round broads and taking in lovely countryside. St. Mary's Church in Fleggburgh is one of only 53 thatched churches in Norfolk and dates back to the Norman period. Lying between Acle and Great Yarmouth, Fleggburgh is an ideal location for travelling around the local area. Fleggburgh to the north west of Great Yarmouth lies between Filby Broad and Lily Broad in glorious Norfolk countryside. From Great Yarmouth, leave on the A149 then brach left onto the A1064.